The oldest record housed at the Providence Care Archives Department is the first register for the House of Providence, dating from 1861 to 1904. 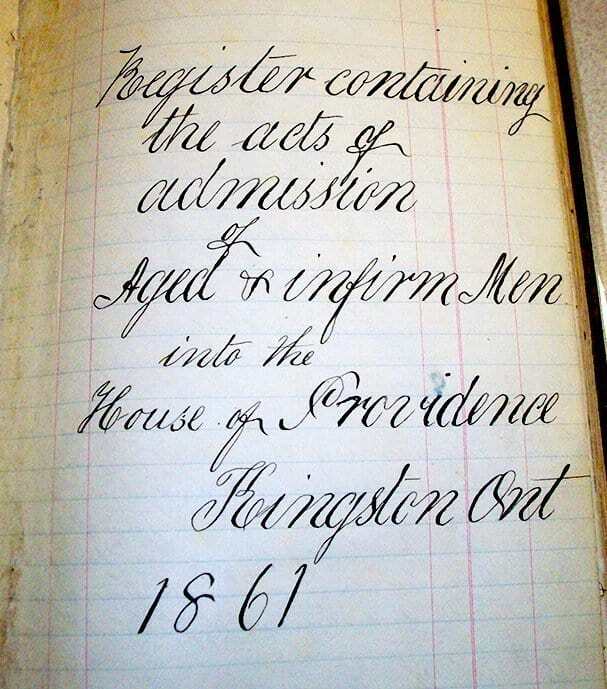 The first register containing the Acts of Admission of Aged & Infirm Men into the House of Providence, Kingston, 1861 provides insight into the early days of the Sisters of Providence of St. Vincent de Paul in Kingston, and the establishment of their mission. The record reflects the purpose of the arrival of the Sisters in Kingston from Montreal in 1861, which was for four Sisters to establish a community to care for the elderly, the poor, and orphans in Kingston. The first House of Providence (today Providence Manor) was opened on Montreal and Ordnance Streets. During their first week the Sisters made over forty home visits to care for the elderly, and had taken ten orphans into the home by the second week. The first elderly person moved into the home in November, 1862, and numbers continued to grow. A house on the adjoining lot was purchased to accommodate the expansion, accompanied by several later expansions. 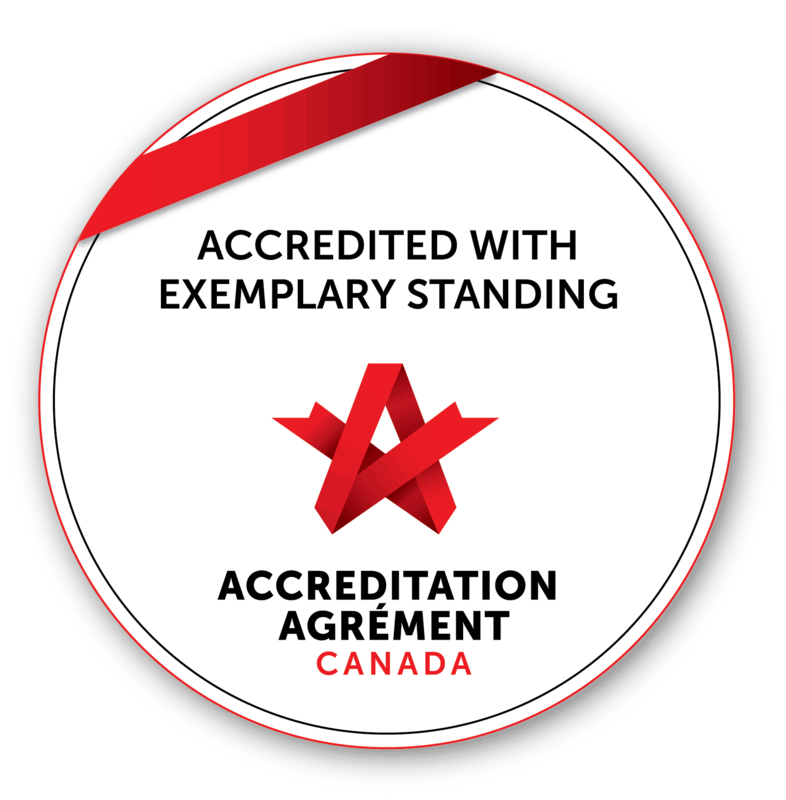 The Archives Department at Providence Care was fortunate to secure a conservation grant from the Canadian Conservation Institute in 2012. The Register had fallen into disrepair due to its age and storage conditions prior to the opening of the Archives Department in 2007. Conservators at the CCI were able to treat and repair the Register so that it may continue to serve as evidence of the incredible legacy of the Sisters, as well as the shared history of Providence Care. It is fitting that the Register was returned to us a few weeks prior to December 13th, Mission Day, and the anniversary of the arrival of the Sisters in Kingston in 1861. Archives and Providence Care staff are pleased to have the cornerstone of our archival collection return back home. As we start this Mission Week let us take time to reflect on how Providence Care continues to serve our community through our vision, mission and values, in the footsteps of the Sisters of Providence of St. Vincent de Paul.